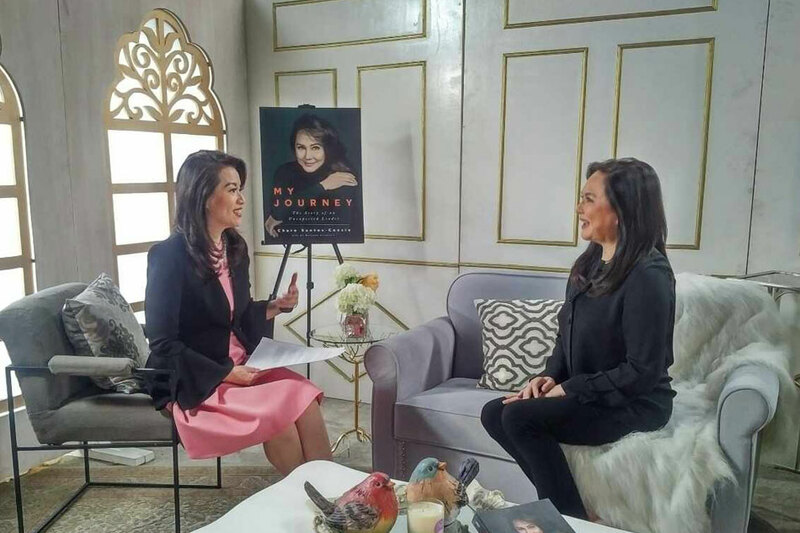 Award-winning international news anchor Cathy Yang interviews ABS-CBN executive adviser to the chairman, chief content officer, ABS-CBN University president Charo Santos-Concio on this Thursday’s (March 23) edition of “The Boss,” on ANC, the ABS-CBN News Channel. Charo, who is launching her book “My Journey – The Story of an Unexpected Leader,” will open up to Cathy about her experiences as a young girl in a small town in Mindoro to becoming one of the Philippines’ finest actresses, and finally being regarded as one of the most respected female media executives in Asia. In an article published on ABS-CBN News Online, Cathy shared some quotes from the interview. She shared some of Charo’s most cherished values: the value of service, which she learned from her father who worked at a government hospital; and the value of teamwork, which she has guided her through all her years working in media. “It’s never about one person. It’s never about you. Everything we do is collaborative,” Charo said. Charo also explained why she shifted from a thriving on-screen career to TV and film production, and eventually, the management of the country’s leading media and entertainment organization. Cathy also looked into how the former ABS-CBN president dealt during the most trying times for the company and her endeavors after retiring late last year, including a movie comeback that brought her back to the international limelight, and the launch of her own book. Published by ABS-CBN Publishing, Inc, “My Journey: The Story of an Unexpected Leader” spans Santos-Concio’s childhood up to her retirement as ABS-CBN’s first woman president. The book is available at selected National Bookstore and Powerbooks outlets for P550. Cathy Yang has been delivering in-depth interviews of business executives and entrepreneurs on “The Boss,” since debuting the show last year. Some of the notable leaders she has featured include Virgin Group founder Richard Branson, Bangko Sentral governor Amando Tetangco Jr., DHL’s first female country manager Yati Abdullah, and St. Luke’s Medical Center president and CEO Dr. Edgardo Cortez. The program airs every Thursday, 7:30pm on ANC and ANC HD with replays on the same day at 11pm, on Fridays at 3:30am and 1:00pm, on Saturdays at 4:30am and 10pm, and on Mondays at 9:30am.